I love singing in choirs, so much so that I’m in three: singing, directing or both! September is always a busy time, resuming rehearsals after the summer break, choosing what to sing and – yes, I have to say it – worrying whether it is too early to start rehearsing Christmas repertoire. And as soon as we have agreed what we will sing, we have to copy printed music so that we can rehearse. Some of it we might have sung before and is in our choir library. Some might be new, bought or borrowed. Some might be wonky copies with notes missing which have been through the mill a number of times. And some of it is protected by copyright. 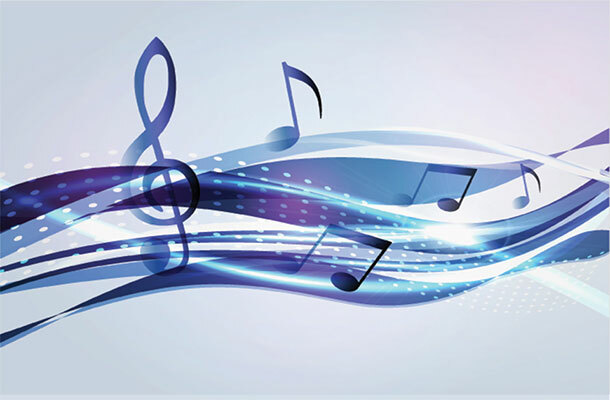 Copyright protects music in a number of ways: the music itself by the composer and/or arranger, the lyrics by the writer, and if it was published, how it looks on the page, also known as the typographical arrangement. Copyright doesn’t last forever, but it does last a long time, the life of the creator, plus 70 years. So my choir is safe enough singing one of the most famous settings of Full Fathom Five from The Tempest by Shakespeare (died 1616), set by Robert Johnson (died c. 1633). But a more recent arrangement would be protected, say for the 400th anniversary this year of Shakespeare’s death. It’s up to the choir to check these things, and if they want to sing something that’s protected by copyright, we need permission from the rights holder, to use a copyright exception or follow the Music Publishers Association Code of Fair Practice. How do we know what to do? Well, one place to start is the new Copyright Notice on printed music which gives you some ideas of routes to try and links to useful information. And this is not just for choirs, but for orchestras, chamber groups, marching bands, soloists – anyone who might want to use printed music and wants to be sure of copyright. So dust off your music, check the copyright position, and – to quote Colonel Henry Heveningham (died 1700) as set by Henry Purcell (died 1695) – If music be the food of love, sing on! 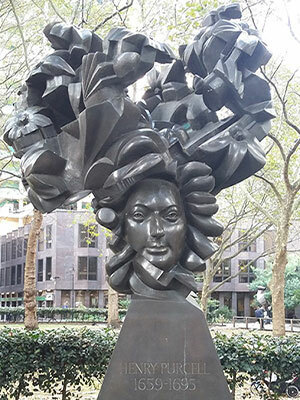 Statue of Henry Purcell, just 3 minutes from the IPO office in London.